I really have never met a banana bread I didn’t like, but this browned butter banana bread with ginger and pecans might become my new favorite. It sounds fancy, but it is not. I promise. We can’t do fancy over here. 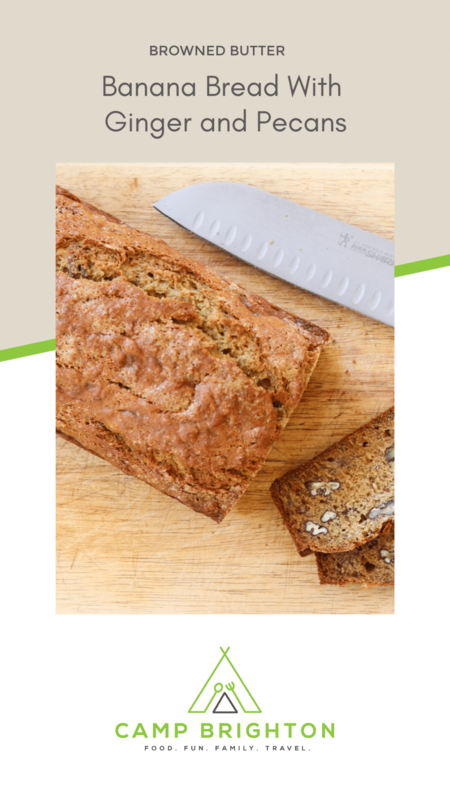 This browned butter banana bread basically follows my regular banana bread recipe with just a few minor changes. The most important change being to brown the butter. This extra step will only take a few extra minutes – everything else is still just as easy as before. The addition of ginger is subtle, but I think it might add a little bit of moisture to the bread – or that just might be in my head. A few weeks ago, I found a jar of minced ginger at Whole Foods so now I always have a back up source of ginger if I am out of the fresh stuff. We use ginger ALL THE TIME around here. It’s an amazing addition to a lot of food. I recently read that adding baking soda and baking powder to banana bread was a good combination. I am sure I read an entire scientific article about why this combination works – but I forget all of it. I will say that I loved the combo and will be doing it again this way! Sprinkling a little sugar over the top of the bread before I popped it into the oven was also an awesome simple addition to my traditional banana bread. Do it. 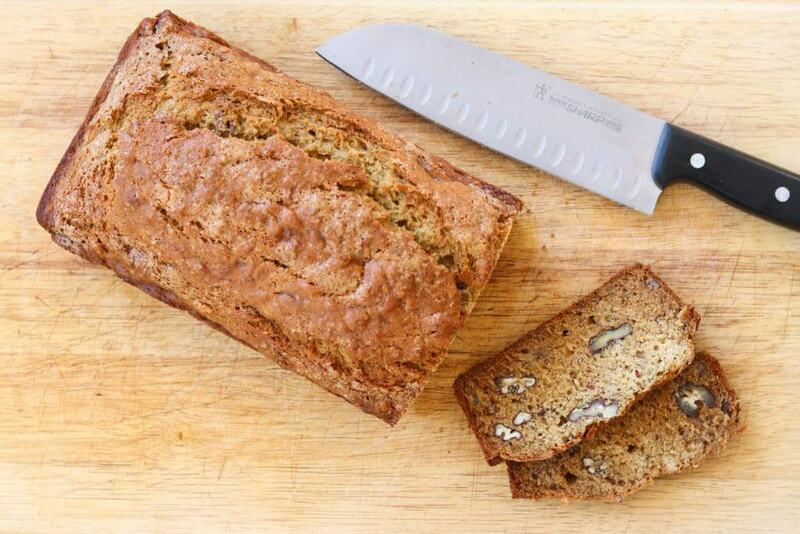 This browned butter banana bread with ginger and pecans sounds fancy but it's really not. Preheat oven to 350. Grease a large loaf pan. In a large mixing bowl, combine flour, baking soda, baking powder, salt. In a saucepan, melt butter. Once the butter has melted, whisk it gently until it starts to brown - but don't let it burn. Once it is brown, remove from heat. Add ginger to browned butter. Add mashed bananas to ginger and butter. Add eggs, brown sugar, and vanilla. Stir until smooth. Add the banana mixture to the bowl containing the flour mixture and stir to combine. Pour batter into greased loaf pan. Smooth the batter. Sprinkle some coarse sugar over the smoothed batter. Cook at 350 degrees for 50 to 60 minutes. Test doneness with a cake tester or a butter knife. It should come out dry - no wet batter. Cool on a wire rack. After about 15 minutes, you can turn the bread onto the rack to continue to cool. 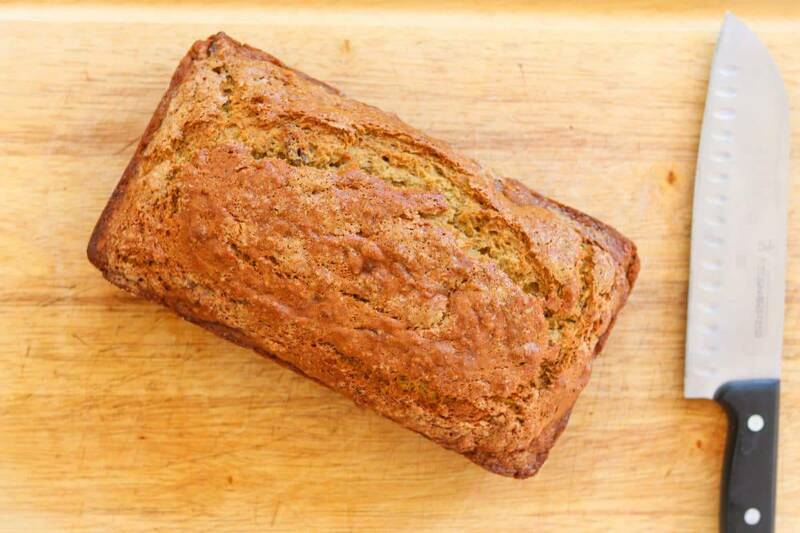 If you’ve got four very ripe bananas hanging out in your kitchen, make this bread. Kids and adults will love it. I love brown butter and banana bread, so I imagine the two together are super delicious. Thanks for sharing! Can’t wait to try this. Awesome that you used fresh ginger in this recipe. A nice kick in both flavor and nutrition for that addition. Well done! Yes!! Totally agree! Believe it or not, I actually have a farmer nearby that grows fresh ginger and has a big farm day to celebrate it! It’s very cool – Windcrest Organic Farm here in North Carolina. I LOVE fresh ginger. SO, so good for you! 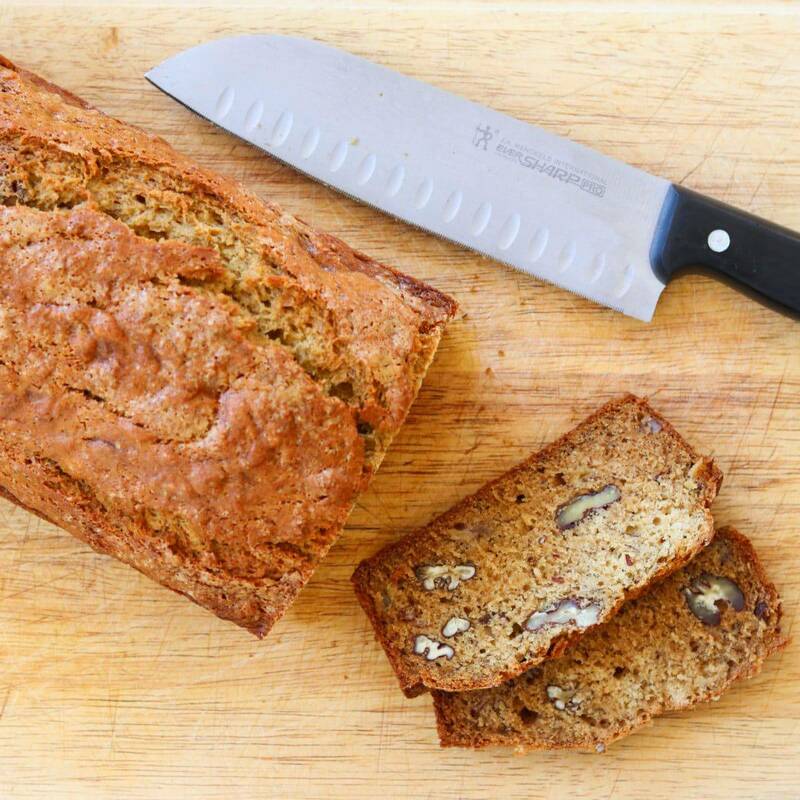 I love a good banana bread recipe so this one has my name written all over it! Thanks, Jillian! Me, too. I think my papa’s banana bread was one of the first things I ever baked completely by myself. I have been a banana bread fan ever since! Yum and Yum! I think this would taste delicious by the sounds of the recipes. The pecans would give a lovely texture, great recipe. Agree!! I am a nut fan, so I might be a little biased, but this was such a great combo! 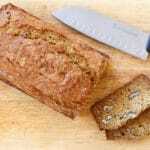 Mmmm I love a good banana bread recipe, the added ginger and pecans sounds so delicious! Can’t wait to try it! Thanks, Emily!! The ginger and the pecans are such an awesome addition! I hope you like it.